Police have identified a woman they say was found incoherent and unresponsive on a Queens street corner over the weekend, and they say the man who can be seen on surveillance video apparently leaving her on the street actually remained on scene and sought help. Safiya McLean, an 18-year-old who police say is homeless, was found Saturday at the intersection of 131st Street and Jamaica Avenue in Richmond Hills, officials said. Police released surveillance video Tuesday asking for the public's help in finding a man who can be seen removing the woman from his car and placing her on the sidewalk before apparently driving away, but police said early Wednesday morning that the man remained on scene, sought help and spoke to responding paramedics. While the man spoke with EMS workers at the scene, he did not speak with police until the video was publicly released, officials say. Police determined the unidentified man was acting in the woman's best interest and no charges have been filed. 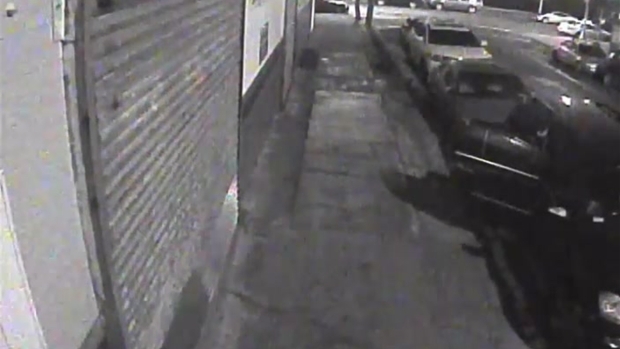 Police trying to identify a woman found unconscious and critically hurt on a Queens street corner over the weekend released surveillance video that shows a man dragging her out of a car and dumping her there. McLean was taken to Jamaica Hospital, where she remains in critical but stable condition.